Looks like we could possibly be getting Star Wars: Battlefront III after all, just under a different brand name. Star Wars: First Assault shows Lucas Arts taking their game to the next level in creating an ultimate answer to Battlefield and Call of Duty. Much like the older Star Wars: Battlefront games, First Assault will place players in the shoes of nameless soldiers destined to wage endless wars across the most popular settings in the galaxy. Tattooine and Cloud City make the most prevalent appearances in the footage, and even more important is the absence of character models and settings from the prequel trilogy. No doubt they will eventually be revealed, but one can dream of a Star Wars game not hindered or bogged down by droids, clones, or flying bug aliens. The exciting leaked footage has been revealed to be incomplete and still full of bugs. Kotaku's source for the footage claims that many improvements have been made since this video was captured back in October/November of 2012. "The trailer contains all in-game footage, including known bugs and incomplete art. In the time since it was made, many improvements have been made in performance, completeness, and quality." If that is buggy than consider me impressed. 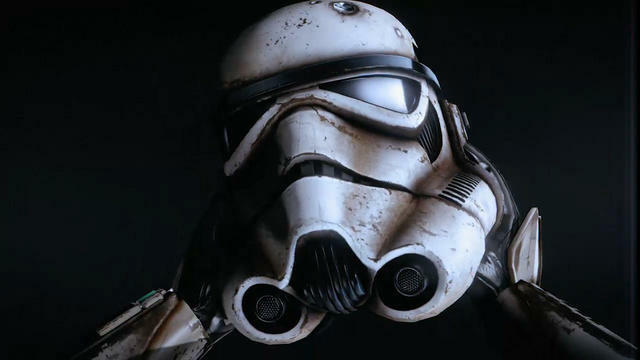 I'm especially a big fan of how the developers rendered the Stormtrooper helmet, finding a decent balance between the realism seen in Star Wars 1313 and the more stylized color scheme found in Borderlands. Sadly though, the game currently dangles in limbo with the rest of the Star Wars video games in development. Following Disney's acquisition of LucasFilm, the company put a hold on all Star Wars games in development so as to decide how to continue on with the franchise. Haven't Star Wars: Battlefront fans suffered enough? The long and torturous development phase of Star Wars: Battlefront III only stings even more considering we never even got to play it. The earlier games were a pioneer in online multiplayer for consoles, especially in establishing the PlayStation 2 as a contender, and with the popularity of online shooters these days, this could be an exceptional title. Hopefully, this "leaked" footage creates enough interest enough gamers and lets Disney know we want this game. Otherwise, we might have to sit out on waging war across the galaxy yet again. Although it's never been officially announced, LucasArts had First Assault planned as a downloadable release for this spring as found by a domain registration.